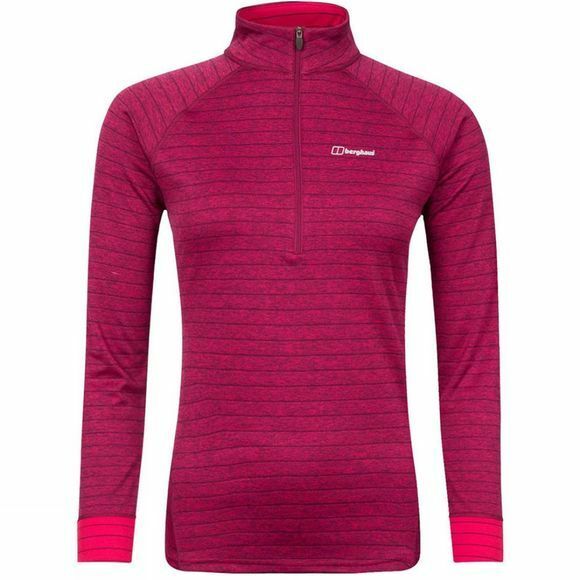 The Womens Thermal Tech Tee Long Sleeve Zip Top from Berghaus has a specially designed knitted structure to help retain and trap air, you’ll stay warm all day long. 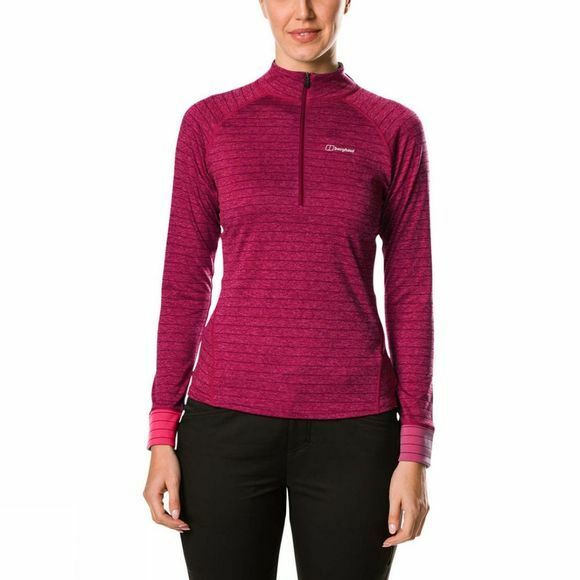 Long sleeves add to the warmth while the slightly raised collar gives even greater protection. Extremely versatile, you can zip it up for more heat, or open it up for extra ventilation. The zip also makes getting it on and off a doddle after a tough day walking. And don’t worry about staying fresh, the fabric has Argentium fabric technology built in to wick away excess moisture and provide lasting odour resistance.